As the history of this region shows, the wine-growers of the terroir of the Graves have always had the conservation of their heritage at heart , particularly over the course of the last quarter of the 20th century when intensive urbanisation reached abusive levels. The conservation and the rehabilitation of the vineyard demanded communal and exemplary action. Basing itself on one hand on the works of the “Syndicat des Graves de Bordeaux”, founded in 1904, which had pertinently defined the historic boundaries of the vineyards and, on the other, on the structure of the “Syndicat Viticole des Hautes Graves de Bordeaux”, founded in 1964, which gave itself the mission of creating a communal Appellation in the Graves of Bordeaux, and in 1980, a particularly dynamic group of men created, in order to complete actions undertaken in the past, the reconquering of the soils belonging to the vineyards and recognition of product, the “Syndicat Viticole de Pessac-Léognan”. Ten communes regrouped for the defence and illustration of a legitimate Appellation. 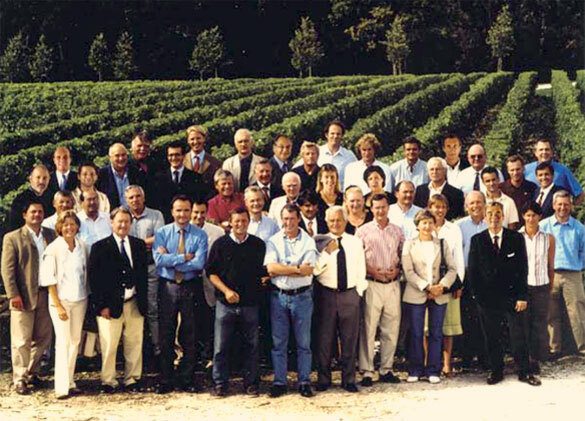 Finally legitimised, in 1987, by the “Institut National des Appellations d’Origine” (INAO) within the exact boundaries of that which the Syndicat evoked in 1904 and by the publication, 9th September in the same year, of the Decree of the Appellation. The reclassing into the AOC of all soils worthy and capable of producing high quality vines, initially left during the course of preceding delimitation rounds due to them not possessing vineyards. 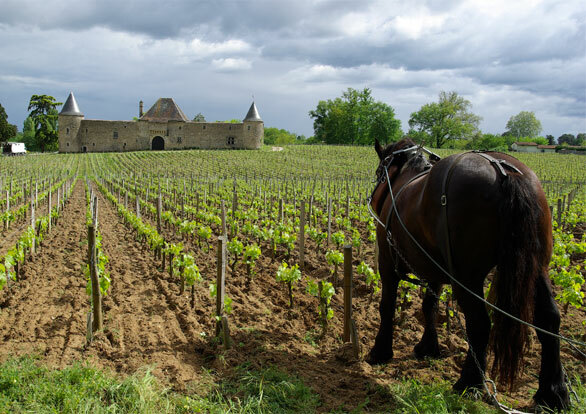 Such a reclassing will allow the protection of excellent wine-growing quality grounds which, due to their exceptional geological nature and their potential to produce great wines, make an integral part of the natural heritage of Pessac-Léognan. It is also necessary to push attention towards making these terroirs non-transferable. The implementation of all means needed to protect the integrity of the wine-growing territories against damages emanating from urban and industrial pollution onto non-transferable terroirs. This exemplary combat, led by a cohesion rarely seen in a human group, is obviously registered in a realistic manner with respect for regional adjoining suburbs, and also the vital space necessary for the balance of the wine-growing economy – creator of jobs, wealth, prosperity, and beneficial to the balancing of French national accounts. This heritage is for the modern era, the time to preserve it is now.